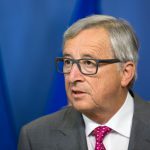 After a public consultation where 84% of 4.6 million people across the EU called for an end to daylight savings, EU Commission President Jean-Claude Juncker said millions “believe that in future, summer time should be year-round, and that’s what will happen”. 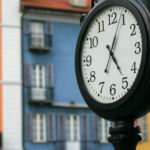 Daylight savings has faced opposition in Switzerland over the years. In 1978 52% of Swiss voters rejected it. Most urbanites were in favour of it while voters in most more rural areas were strongly against it. 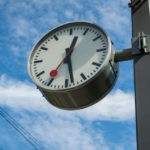 Despite voter rejection, Switzerland joined the european clock shifting club in 1981 after the government decided it was necessary because of the confusion of being out of sync with clocks in neighbouring countries. The EU Commission has not yet drafted details of any proposed change. A consultation paper says one option would be to let each country decide whether to go for permanent summer or winter time, although it warns that uncoordinated time changes would cause economic harm. Much of the world does not follow daylight savings. China, Russia, Japan, India, most of Africa and most of South America do not shift their clocks. Some countries such as the USA, Australia and Canada have regions that do and regions that don’t. For example most of the US state of Arizona and Hawaii do not have daylight saving while most of the rest of the country does.